Top entertainment agency JYPE has announced that they will hold a concert next month in Seoul during the holiday season. On November 12, JYPE issued a press release stating that founder/CEO Park Jin Young, Wonder Girls, 2PM, miss A, San E, and JOO will perform under the name of “JYP Nation” at the Olympic Park Stadium on December 24. This event marks their first-ever joint concert and will be titled “TEAMPLAY”. 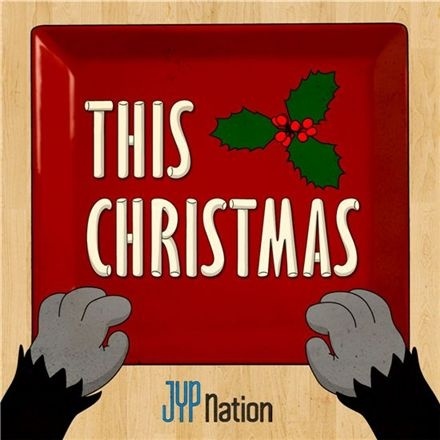 and also don’t forger to listen “This Christmas” full audio, first. This entry was posted on December 2, 2010 by redtofu. It was filed under Audio, Boy Band, Concert/Show, Girl Band, MV, News, Solo, Videos and was tagged with 2am, 2PM, Joo, JYP, JYPE, Miss A, San E, Wonder Girls.